Member of the Pennsylvania Pest Management Association Inc. Since 1999, Resolution Pest has been providing premium pest control in and around the Philadelphia area. Our local, family-owned company prides itself on its extensive pest knowledge, exceptional service, and effective pest prevention treatments. Our resolution is to keep your home and business pest-free and your family and employees safe. Resolution Pest protects homes and businesses throughout Bucks, Chester, Delaware, and Montgomery counties. We also visit parts of Philadelphia and Berks counties. We take great pride in the success we've had throughout the area and want to be your go-to neighborhood exterminator. We couldn't offer the best pest control in the business without the best employees. We employ only board-trained, state-certified exterminators who pass rigorous background checks. Our locally based employees are familiar with the Philadelphia area and have considerable knowledge and experience with the pests that plague it. 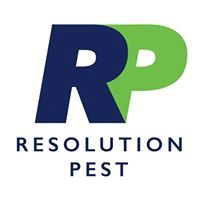 Resolution Pest wants to give you a pest-free home using the best prevention services, pest control, and customer service in the business. We use environmentally safe, ethical treatments to maintain your safety, as well as your peace of mind. We like to look out for our neighbors. Because of this dedication, our policy is to put our customers first. We guarantee your complete, 100% satisfaction, and are willing to work until we've met your approval and gotten your pest problem under control. This has been our policy since day one, and our reputation as the favorite local exterminating company speaks for itself. What people say about Resolution Pest Inc. Need a follow-up visit. John's 1st visit knocked down the ants but they are starting to reappear. Thought he was scheduled to be here yesterday (Wed) but probably needed to confirm that. So...while we are happy with your service we need that additional visit. Friendly service, reasonable rates, and very responsive! Great service and friendly people! Highly recommend. Resolution Pest is fantastic. I had a mouse in the house and called this company. Not only did they make sure that no more mice infiltrated my house, but they also took care of mice getting into the garage. The owner, John, makes sure you are happy with his company’s service and their rates are very reasonable. I could not be more satisfied with my choice for a pest control company! Very prompt, courteous and knowledgeable. Have used them for years and would never think of changing. Resolution pest results are highly effective. John always asks about any issues before treatment and is very thorough. Never had to call him back for a retreatment.I highly recommend this firm. They come on time when scheduled. No issues with getting extra treatment when needed. Service has always been great. Technicians know their job. They did a great job for us on our home. They resolved the issue quickly and have continued to keep pest out of our house.